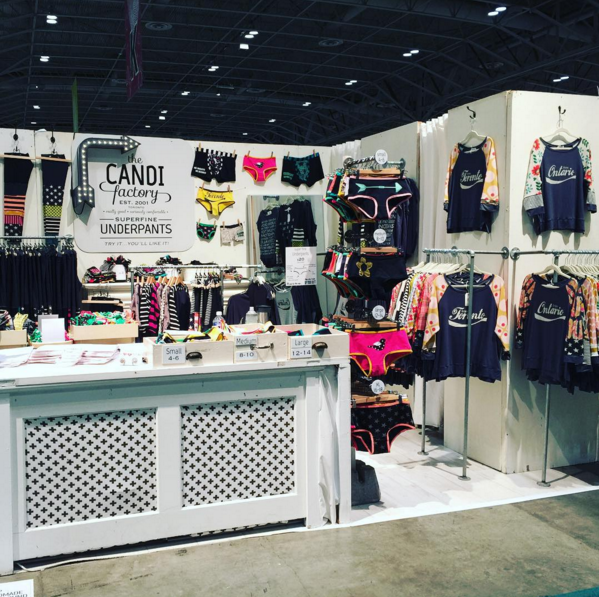 Candi Factory started out in 2001 as the brainchild of Candice Levine, who was searching for the perfect pair of women’s underwear. Unable to find what she was looking for, and with a Degree in Fashion Design from the renowned Parsons School of Design in NYC, Candice set out to create them herself. 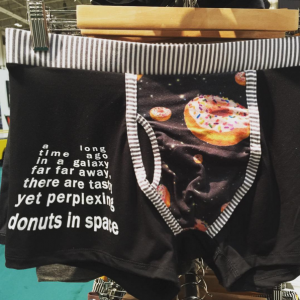 The result is fun and fabulous underwear that come in a range of quirky prints, while keeping comfort and quality at the forefront of the brand. 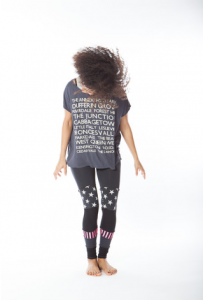 Candi Factory soon followed up with men’s briefs, and has expanded to include a range of printed women’s clothing, all the while keeping their witty and colourful design attitude. With the Toronto One of a Kind Show around the corner, where Candi Factory has become a show staple, we were fortunate enough to have the opportunity to pick Candice’s brain on everything from her design process to how she prepares for the OOAK show. Check it out! Where did the idea for The Candi Factory come from? I went to Parsons School of Design, started making and selling hand-dyed, hand-painted, hemp clothing. One day I made underwear in hemp, not a great idea. Then realized if I made them in better fabric I’d be onto something. The Candi Factory is rife with fun and witty graphics that you design yourself. What is your design process like? Where do you get your inspiration? I like bright, but simple things, like stripes and dots. 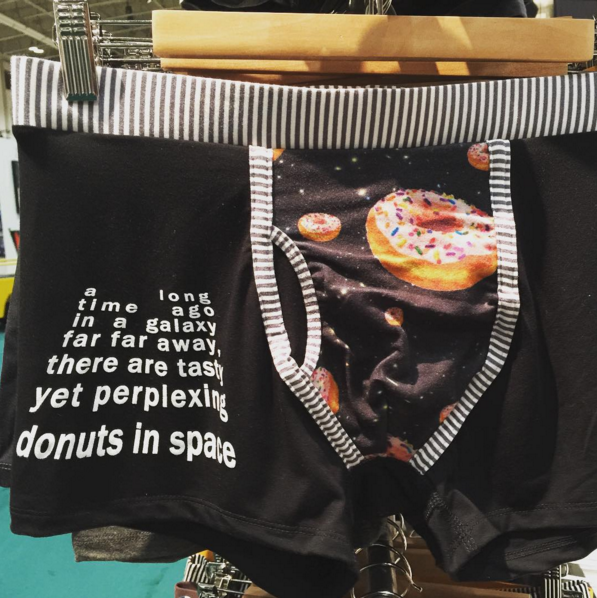 As for the prints and text, it has to make me laugh. Sometimes the fabric dictates the rest of the piece, sometimes I have an idea and find the fabric to go with it. You are a staple at the One of a Kind Show in Toronto and your booth is always booming. How do you prepare for the show? Months of and months of work. Including dreaming of booth display in my sleep, literally. I plan my pieces, order fabric, make the patterns, samples, then have them sewn and printed. I build/add to the booth, make signage, postcards, hangtags, etc. Do you find that you have a lot of return customers? How do you keep them coming back? Lots of people have been shopping with me for years. You have to keep the designs similar enough to have a certain feel, but different enough to be new. Above all else you need great quality. All of your garments are locally cut-and-sewn. Any advice on how to find a good contractor? I’ve had 3 different sewing contractors close down on me because of all the manufacturing going overseas. It’s hard to find a company that does the quality you want and can understand your process as a small business. There are no real resources to find contractors, just word of mouth. What have been your biggest obstacles as a small business owner? Fabric delivery is often a challenge. Finding the right balance between selling retail and wholesale is tough. What would you say is the most important thing to keep in mind when starting your own brand? 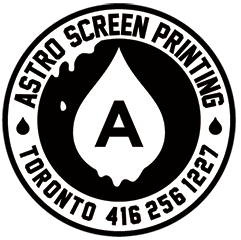 You’ve been coming to Astro for years, and we’re always really excited to see what you bring for us to print each time. What keeps you coming back? A very big thank you to Candice Levine for sharing her wisdom on small business ownership. 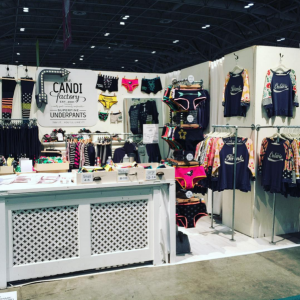 Check out everything Candi Factory has to offer here.